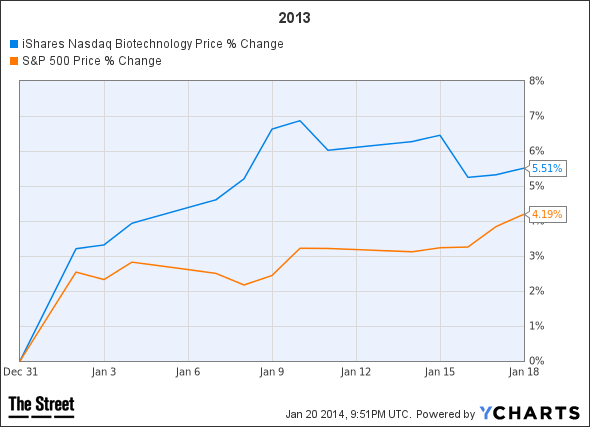 The chart solidifies you what you already know: Biotech stocks are off to a blistering start in 2014. The iShares Nasdaq Biotechnology Index ETF (IBB) is trouncing the S&P 500 through the first three weeks of the year. 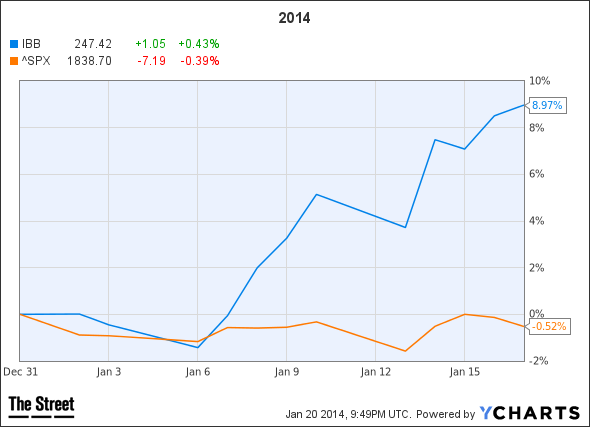 It's hard to imagine, but biotech stocks are starting off 2014 stronger than they did in 2013.